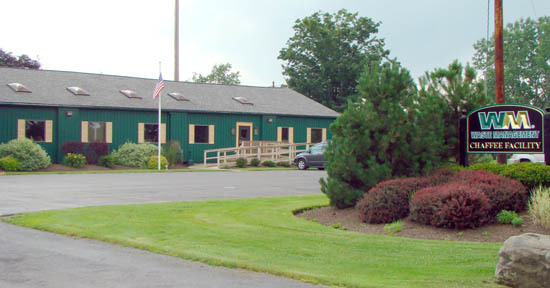 The Chaffee facility is located in the southeast portion of Erie County, in the Town of Sardinia, approximately 36 miles south of the City of Buffalo. NYS Route 16, a regional north-south transportation link, connects Sardinia to Buffalo. The Hamlet of Chaffee is approximately 1.5 miles southeast of the facility. The Chaffee facility is approximately 4 miles northwest of the Village of Arcade. The existing Chaffee Landfill is located on an approximately 500 acre parcel of land wholly owned by Waste Management of New York, LLC, including mineral rights. The design capacity is for 600,000 tons per year of solid waste and 180,000 tons per year of beneficial use determination (BUD) materials. NYSDEC's - Region 9 Office, 270 Michigan Avenue, Buffalo, New York.